So, I keep trying coffee dying, and it keeps failing me. That matted piece of wool is the color I come out with; it's white wool dyed in strong, strong coffee boiling on the stove for ten minutes with vinegar. 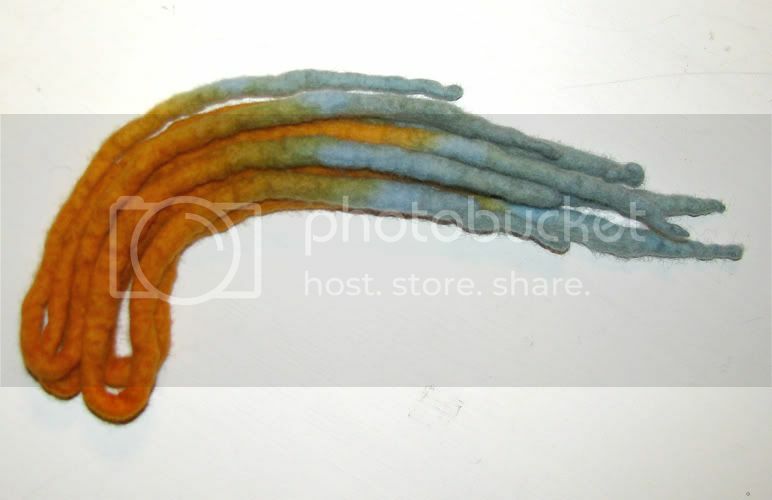 I want it to be the color of the felted dreadlock also in the picture. Any recommendations? Should I just give up on coffee and move on to something else? PS I actually tried Coca-Cola. The coloration seems to be right, not too yellow, but it didn't absorb a lot of the dye in the Coke. Bah! I thought Wilton's Ivory food coloring my make it, but as you can see from the pics below it's REALLY orange, like a pumpkin. It's a beautiful color but not what I was looking for. i am pretty sure there was a thread on coffee and tea dying on the old board. but i have to go to work, so i dont have time to look. I soak for one half hour in 1 part vinegar to 3 parts water prior to dying. I then dye that exact same mixture and set it on the stove to boil. I've looked over coffee/tea dying tuts (that I can find) and I've asked a lot of questions about it myself, and I've tried several times. All with the same kind of cruddy, light colored result. Thank you for the suggestions I'll try tea again and see what happens. Any other brown colored foods/drinks/natural items to try? I'm looking for something less yellow and darker. well it was worth a try, I havent tried to get that color you are trying for so Im not sure what to suggest. what about tye dye dyes? I know this works well for my henna, so maybe it's worth a shot in your case. Have you tried adding like 3 TBS of instant coffee to the ultra strong coffee you brewed up? When I add instant coffee to my brewed coffee with henna, it greatly enhances the brown colors, so perhaps it will work on wool. Good luck. 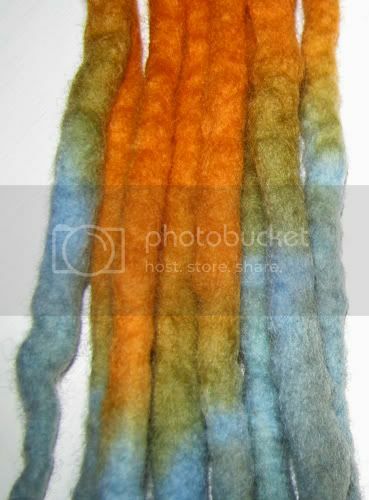 I know that the color I am aiming for is natural colored lama's wool; I'd just order more but FraggleSpice has gone away. I can't afford lama's wool because it seems to be more expensive, but I have tried several different natural colored Merinos/Corriedales. However, they just aren't the same color as the lama's wool. The sheep's wool always seems to be more grey then I want or too dark. I will try leaving it in over night as you've suggested. I guess the stove would be off during that time, right? brandalynn wrote: I know this works well for my henna, so maybe it's worth a shot in your case. Have you tried adding like 3 TBS of instant coffee to the ultra strong coffee you brewed up? When I add instant coffee to my brewed coffee with henna, it greatly enhances the brown colors, so perhaps it will work on wool. Good luck. I think we have some instant coffee! I will try this as well and see what happens. 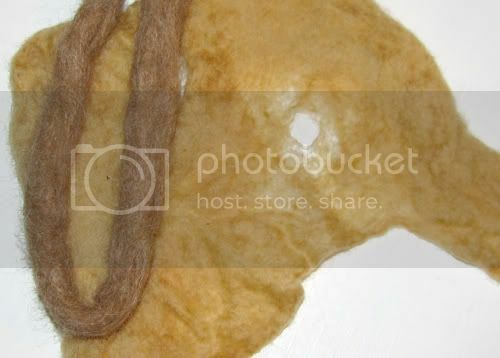 To get the color in your dreadlock, use onion skins. 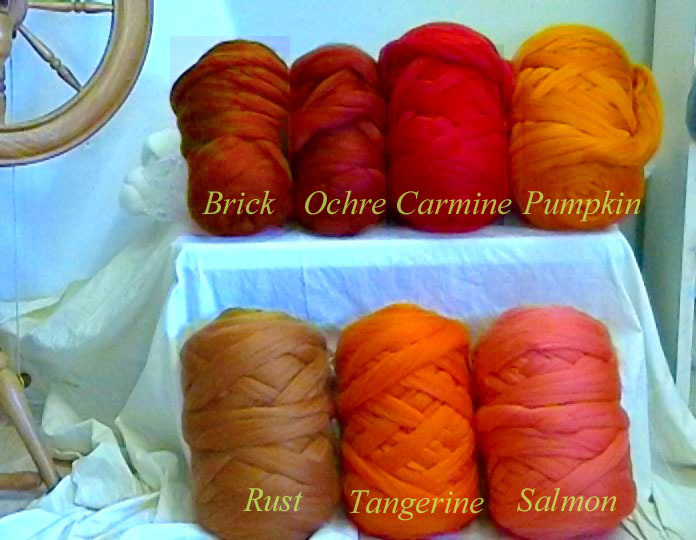 I'm 90% certain the three sites above are all selling the exact same mass produced wool roving. There's a wholesaler called Ashland Bay; those 3 websites are buying in bulk from Ashland Bay and reselling on their website, just like BlueGooseGlen.com does. I've seen mocha and buff; mocha is too green, buff is way too light. Fawn from these people might just work. But it's really stupid expensive because it's from the UK. And then I spend all that money, and what if it's not the right color? It all goes down the drain. I still have 3/4 pound of white wool to be dyed; I'll just keep moseying down that road. But thanks for that Norwegian Wool site; when I'm desperate enough I'll go to that. What if you used the dying methods you are doing on top of the buff? Stilldawn wrote: What if you used the dying methods you are doing on top of the buff? Hmmm.... yes, yes! I think I still have a little bit left of the buff. I'll pull it out and try dying it. Buff is a lot pinker than you'd think, but with the yellow from the coffee maybe they'll balance out and be wonderful.